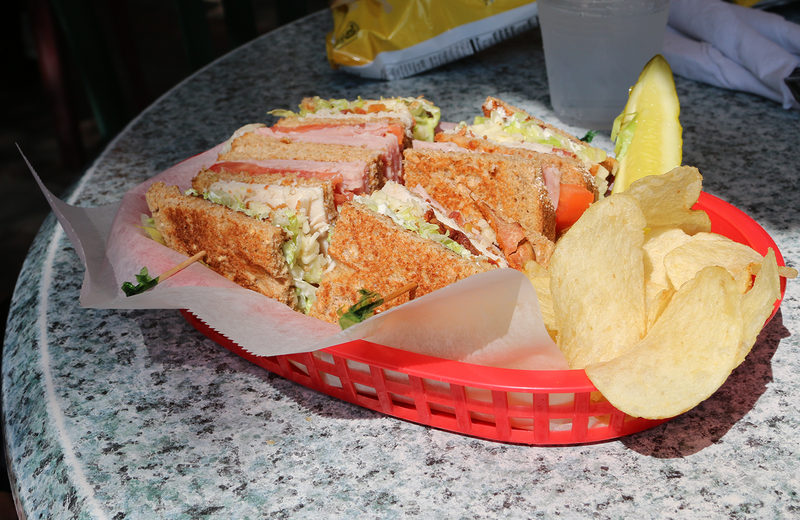 We take one of your classmates to lunch at their favorite spot and chat. Hey everyone! We’re back with a fresh installment of our personal favorite segment- Domino’s, Dining Halls, and Dives! This is when we find a local alum (could be you next time! ), and take them out for lunch! While we’re at lunch, we chat about all sorts of stuff, including what they’re up to, and what they’re looking forward to! This week, we met up with one of your classmates, Matt Marshall ’18, who graduated this May with a Forestry degree from the Rubenstein School! We caught up with him after work for a snack (a big snack) at Bueno Y Sano in South Burlington. 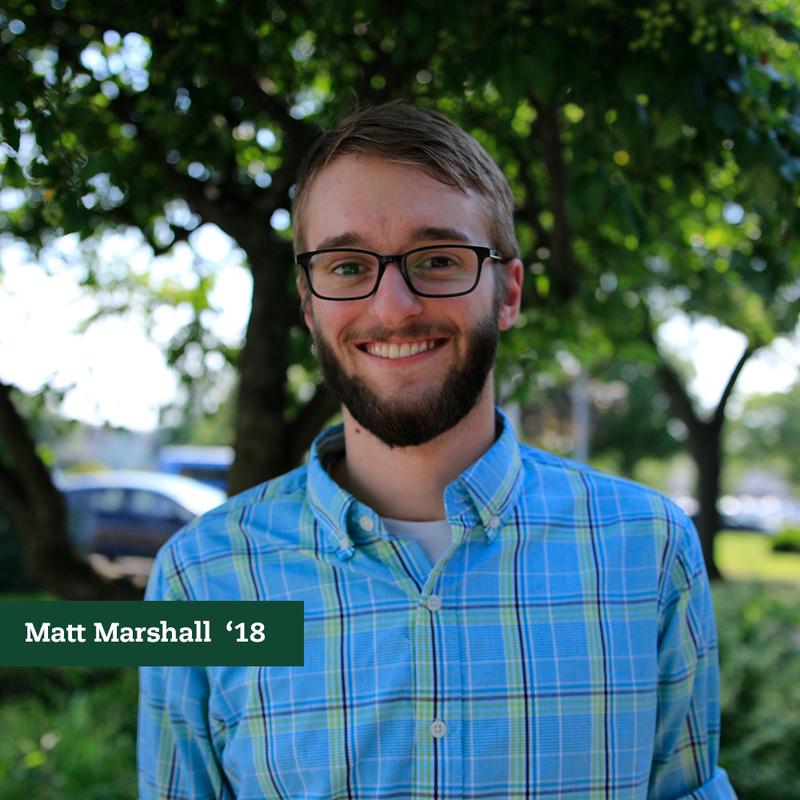 We got to chatting with Matt, and learned more about his summer so far – from getting into lots of board games to continuing his job search – he looks like he’s having a pretty good summer so far! More from him later in the post, but first, pictures of the most important thing – the food. 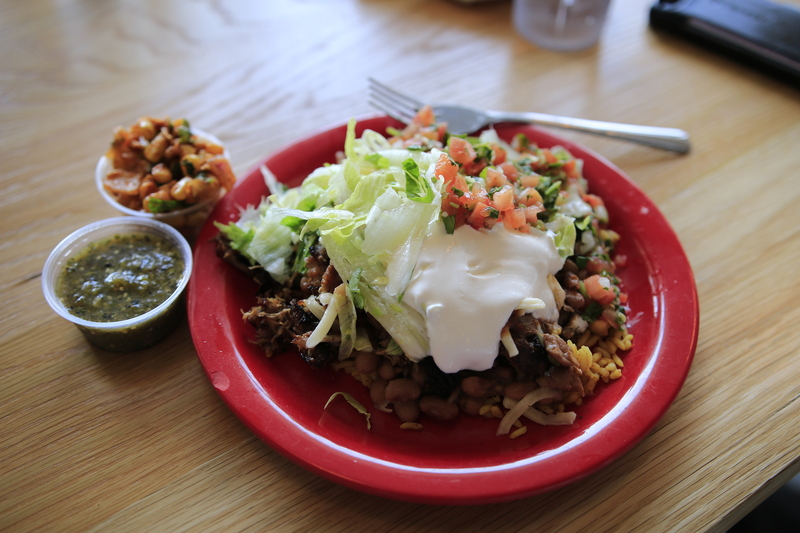 ^^That’s Kathryn’s Burrito Bowl – not served in a bowl, but just as delicious as if it had been. 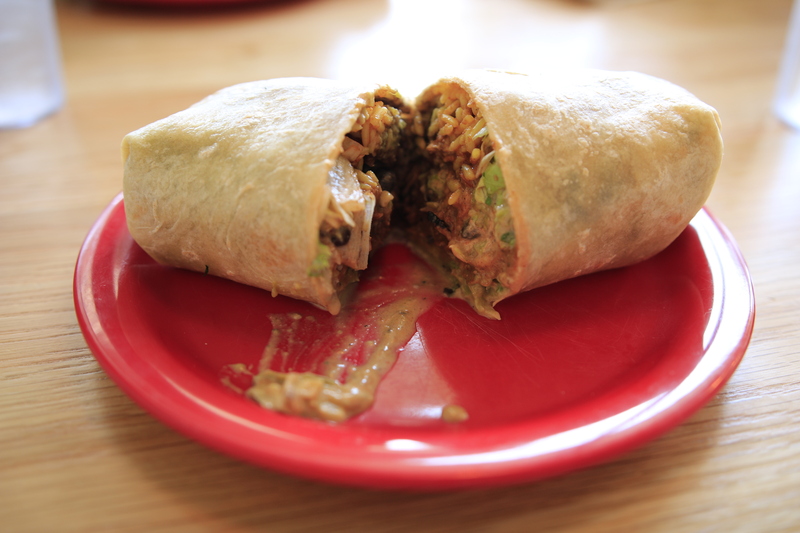 Everyone else grabbed a burrito, some with Chipotle chicken, some with steak, all with the spicy sauce. How have your first couple months out of college been so far? My first couple months out of school have been good so far. I went on a road trip to the Summer Camp Music Festival with some friends and spent a few days in Chicago afterwards. I’ve been to the live show for the Risk! podcast with my mom, younger sister, and my friend/her family. I’ve been to a couple concerts around town and generally hanging out with my friends around town, we even started a Dungeons & Dragons campaign! The biggest challenge for me has been trying to find a job that will let me utilize my degree and everything I learned at UVM. How are you working on overcoming it? Always sending in applications and on the lookout for new jobs. What’s the biggest lesson you’ve learned so far? I haven’t had any life lessons come along this summer, it’s been fairly relaxed! Any advice for your classmates? None that I feel qualified to give, since it’s only been a few months since graduation. We’ll check in with Matt again later this year and see how he’s doing, and if any life lessons have come knocking on the door! Are you local to Burlington? 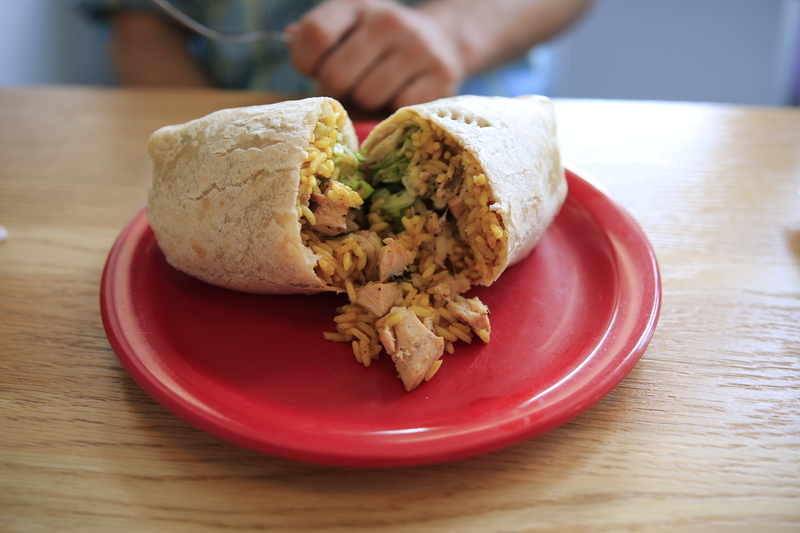 Would you like to get a free lunch, and chat about how your adventures since graduation? Does this post have you feeling like this? We’d love to take you out! Click through here and suggest a place to get lunch, and tell us something cool about yourself- Then, we’ll be in touch to make a date. Greetings fellow foodies, we are back again this week with another episode of Dining Halls, Domino’s and Dives Burlington edition! 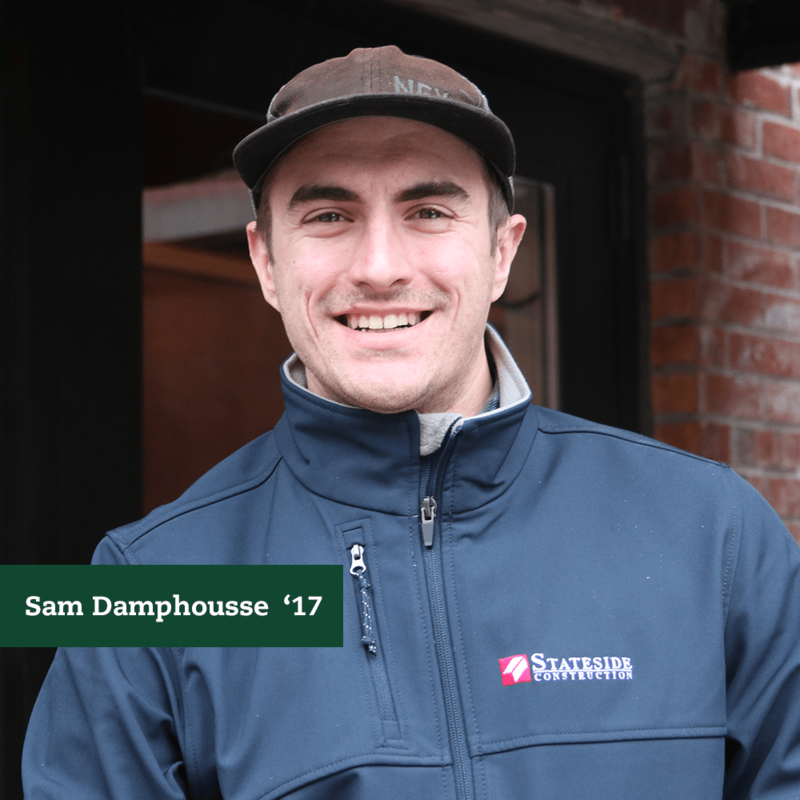 We met up with recent 2017 graduate Sam Damphousse to see what he’s been up to and…of course discuss his favorite local eats. When he’s not biking, skiing or working, Sam is eating. 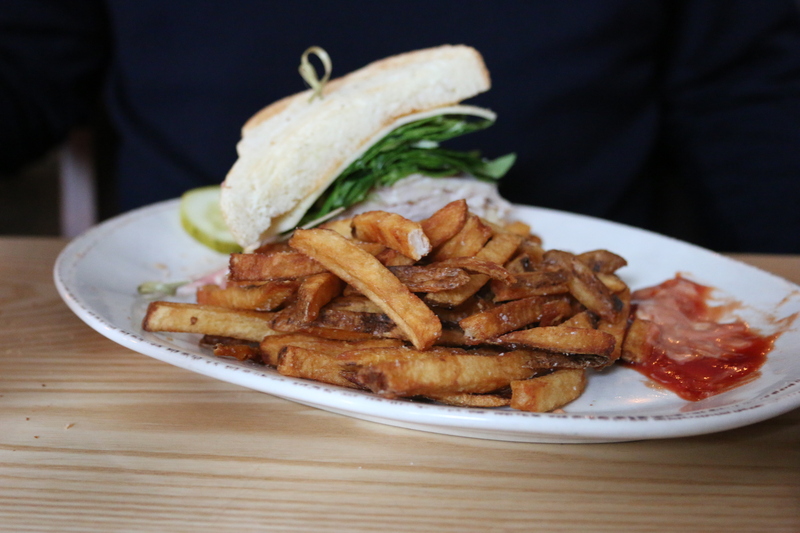 His go to spot in Burlington is The Farmhouse Tap & Grill located on Bank Street across from another local hot spot Henry’s Diner. The Farmhouse first appeared in the Burlington restaurant scene in 2010 and since has expanded to include a summer Beer Garden, and a downstairs hang out called The Parlor. This low key bar is located below the main restaurant, and offers an intimate setting always good for getting together with a few friends for drinks and some appetizers. 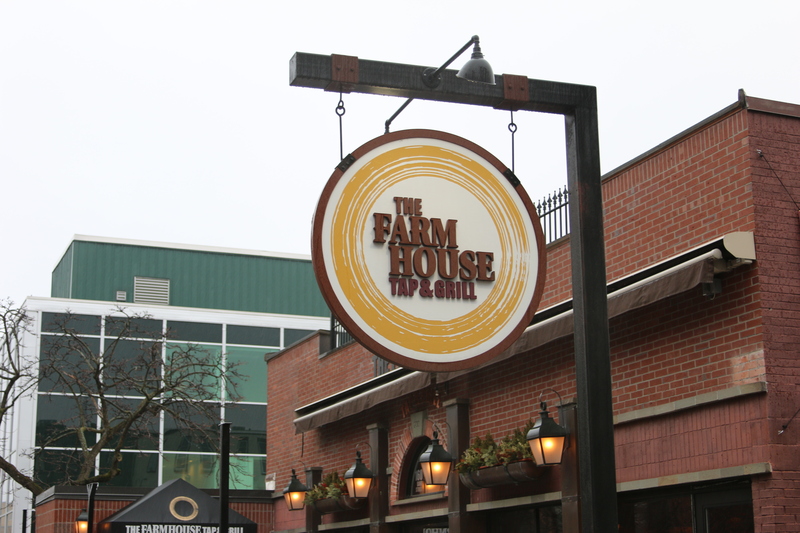 Sam, what makes The Farmhouse your go to spot in Burlington? What did we order? Take a look, the photos will not disappoint! 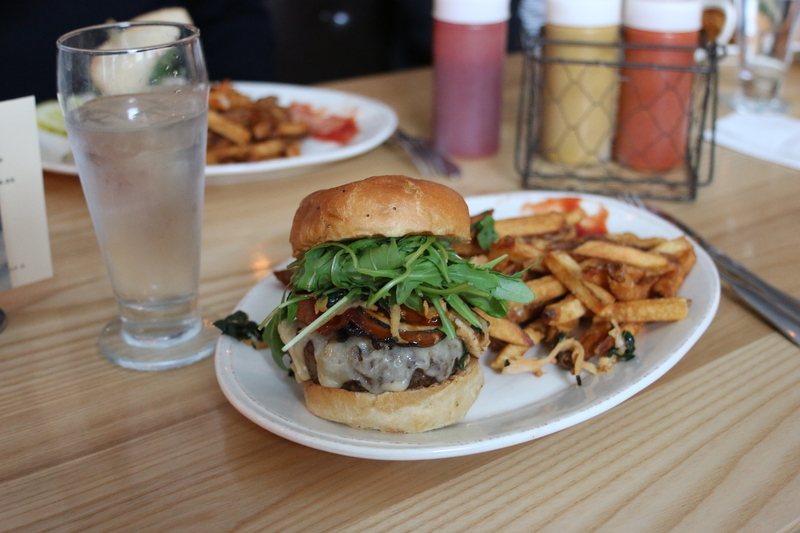 The special burger of the day included bacon, Jasper Hill Farm cheese, mixed greens and caramelized onions. The special sandwich of the day offered roasted turkey with pears, cheese, pickled red onions, mixed greens and chipotle mayo. To top it off, those famous fries Sam loves. 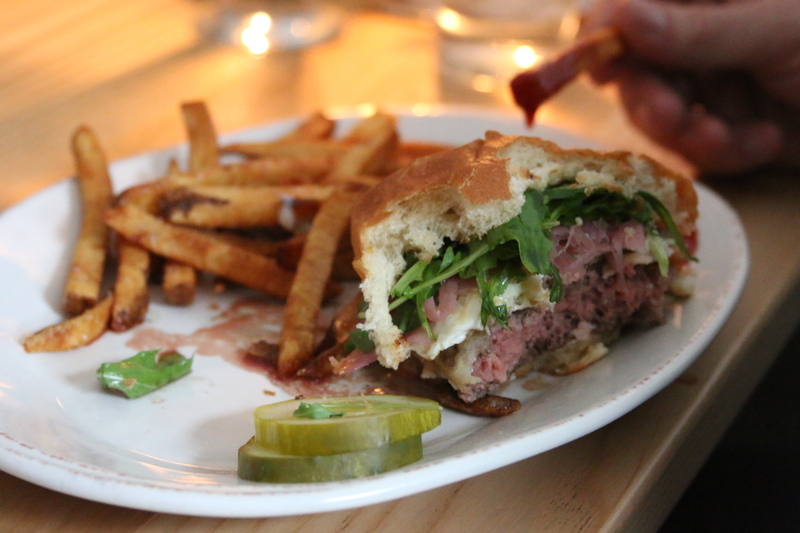 The classic LaPlatte River Angus Farm Beef Burger with bacon, cheddar, mixed greens, pickled red onions and a fried egg. While enjoying this feast we chatted with Sam a little more to see what he was up to. They have been a bit of a whirlwind! I’ve been feverishly chasing down my dream job in California while also sending out other job applications like crazy. I started a local graphic internship at Four Nine Design, and freelancing in between to pay the bills. Biggest challenge for me has been the lack of social interaction with many people. When I freelance I work from my desk in my room, which is a great set up but I tend to become a little hobbit who never leaves. Not having co-workers or even just seeing friends on campus while walking around anymore is a big change for me. I’ve applied to some retail jobs part time to have some coworkers and get out of the house, working at coffee shops a lot and meeting new people. Starting the internship at Four Nine has also helped a lot because I have folks around me that I can collaborate with and learn from. Probably how to be patient. A lot of companies I’ve dealt with so far take the hiring process pretty slow which can get to me a bit because my mind always races. I’ve had to learn to sometime just deal with the radio silence and wait it out. Work hard to be in the place that you want to. I want to be working as an in-house designer at either a studio or a product designer at a bicycle company. Because of that I spent months prepping applications and my portfolio and things are starting to come together. But it wouldn’t happen at all without hard work. If you’re a fan of The Farmhouse or any of their various sister restaurants and want to join us for lunch one day, recommend a place for us to eat! Stay tuned, but until then, stay hungry my friends. Hey gang, we’re back at it again, eating our way through the sights of Burlington. 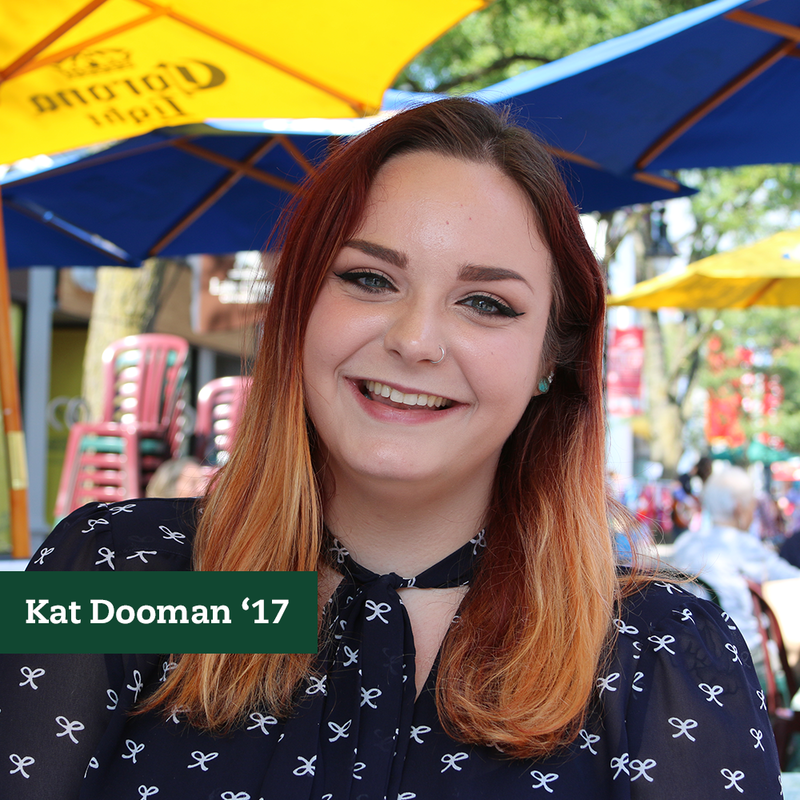 This time, we’re joined by 2017 Grad Kat Dooman! Kat graduated last May, and has been living and working in Burlington! We caught up with her to grab a bite to eat and chat about how things are going. This Burlington Classic has been an institution on Church Street for as long as anyone can remember, and always seems to be busy. We grabbed a table and ordered some classics on this beautiful late summer day. 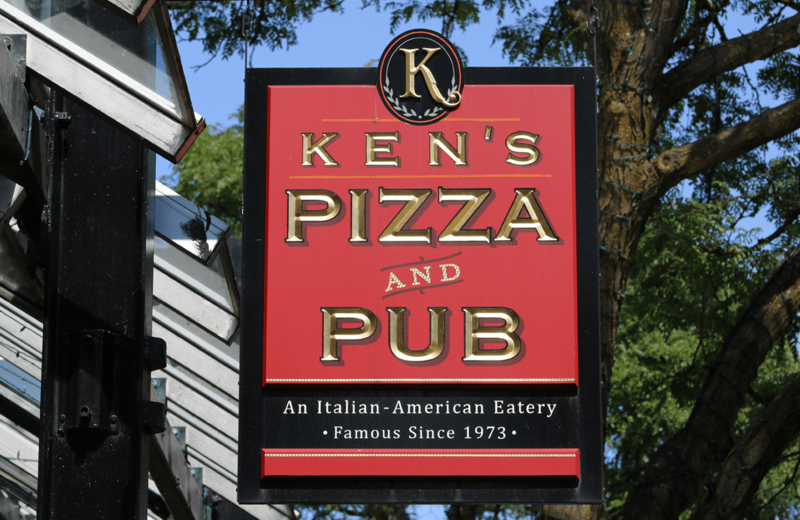 So Kat, what makes Ken’s such a Burlington favorite? What did we all order? How has your first summer out of college been so far? It’s definitely been an adventure! I did a bit of traveling – I went to Barcelona right before graduation, and tried to take advantage of the beautiful, albeit rainy, summer. I also spent a lot of my free time applying for some full time jobs while still working as a Gallery Assistant at Frog Hollow, but nothing seemed like quite the right fit. My patience paid off, though, because I was recently promoted to Operations Manager. I’m thrilled to have this opportunity to take on more responsibility and to continue to work with so many talented artists from all over Vermont. I think my biggest challenge so far has been trying to figure out what exactly I’m going to do now that I’ve graduated. I always knew I wanted to work in the art world, but getting my foot in the door was challenging. I ultimately decided to stay in Burlington for another year, taking some time to really figure out what path I wanted to take. I was looking at potentially going to grad school, applying for volunteer positions, and just trying to stay involved in the artistic community however I could. I got really lucky with my new position at Frog Hollow, and I’m happy to say I plan on sticking around Burlington for the foreseeable future. I have come to realize that the effort you put into things (whether it’s work, friendships, or relationships) doesn’t go unnoticed. If you’re consistent and motivated, then you can absolutely accomplish anything you set your mind too. The best advice I can give is not to get too panicked about figuring out what you’re going to do with your life. There’s a lot of pressure on recent grads to have everything figured out, and I know it can get overwhelming at times, but I also think things have a way of working out if you put in the time and energy. Most of all, try not to stress out too much over the uncertainty of the future. Well Kat, We certainly agree with that advice. And we’re so glad that your patience paid off! 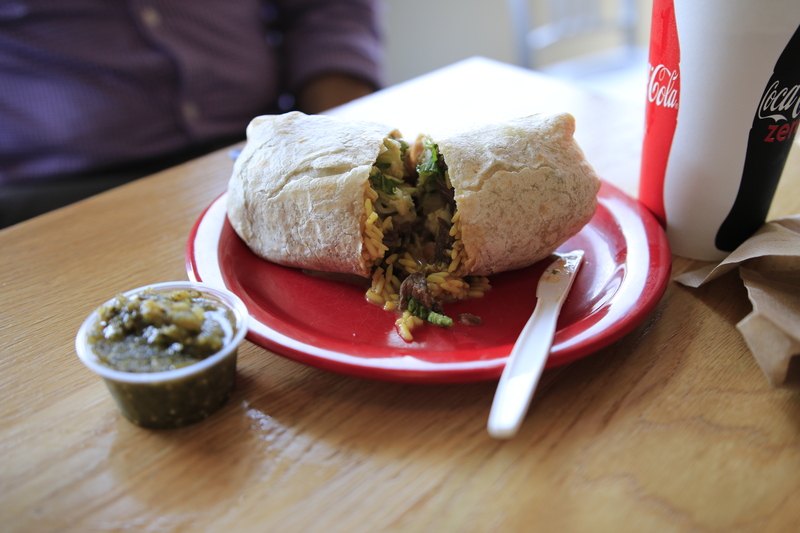 Want to be the next person we take out to lunch? 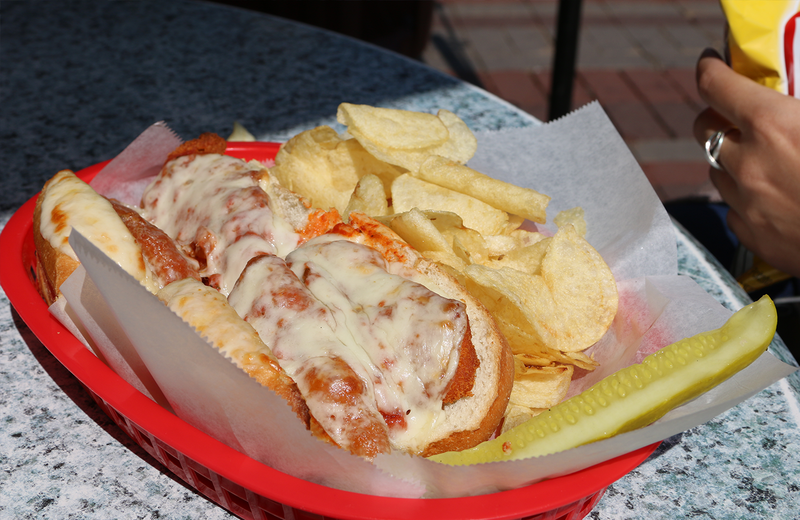 Know of a secret deli that has the best sandwiches? Recommend a place for us to eat! Maybe we’ll see you next time, but until then, hope you’re happy as this pizza-pooch.